International students, especially at their freshman year, face a number of challenges when come to study to a foreign country in terms of adapting to the new environment, language barrier, social isolation, dealing with financial problems, and feeling homesick. It is considered in much of the literature that these students are at a high-risk of experiencing emotional, personal, and psychological difficulties, which can affect all other spheres of student’s life (Sandhu, 1994; Lewthwaite,1996). Studies reveal that there are a number of challenges pertinent to international students’ experience (Sandhu, 1994; Olivas & Li, 2006). Culture shock is the most common challenge international students experience when they come to study to a foreign country. Students move to unfamiliar culture and experience the shock from the new environment, meeting new people, new teaching methods, and different norms, which may lead them to experience the feelings of confusion, anxiety, and depression (Lewthwaite, 1996). Language barrier is another common problem faced by international students (Sandhu, 1994). Language barrier may prevent student’s motivation to integrate and socialize, which in turn may lead to student’s isolation and feeling of loneliness. Moreover, psychological needs of international students have been examined by Sandhu (1994), who found that international students experience the feelings of alienation, loneliness, fear, stress and quilt. Considering all of the above-mentioned challenges and moreover standing from the position of being international student myself, I have conducted a mini research during my undergraduate degree on the perception of international students of on-campus counseling services. The main argument behind my study was that as a result of increased enrollment of international students, university has to ensure that support services available for international students are responsive and supportive, and particularly counseling services need to play major role in helping students to promote student’s emotional well-being. The major finding of my study was the fact that thirty per cent (out of 30 ) of respondents stated that they have experienced an emotional/personal problem that had its significant effect on their well being and academic performance, however, none of them considered seeking help from the counseling support. Surprisingly, students’ reluctance related to the process of maturation and learning to be independent and self-reliant. Participants suggested different ideas on how counseling services might effectively response to the needs of international students including employing a counselor with an international stance, developing effective peer mentoring scheme, better university marketing campaign, and organizing counseling sessions targeting international students particularly. To sum up, by increasing the quantity of international students, universities need to proportionally increase the quality of support services to assist students to overcome challenges originating from cultural and linguistic differences and improve their academic performance. Lewthwaite, M. (1996). A study of international students’ perspectives on cross-cultural adaptation. International Journal for the Advancement of Counselling, 19, 167-185. Olivias, M. and Li, C. (2006). Understanding stressors of international students in higher education: What college counsellors and personnel need to know? Journal of Instructional Psychology, 33 (3), 217-222. Sandhu, D. (1994). An assessment of psychological needs of internationals students: Implications for counselling and psychotherapy. International Journal for the Advancement of Counselling, 17 (4), 229-239. Inclusion is commonly defined as a process of reorganization of the educational institution to serve students with a full range of abilities in the mainstream education classroom with suitable in-class support (Horne & Timmons, 2009). Recent studies demonstrate that promoting inclusive practices in mainstream schools result in better overall learning outcomes of the entire school system (Barber & Mourshed, 2007). According to many authors, several important aspects such as training, resources, legislation and teachers play a key role in successful implementation of inclusive education policies and practices (Boer, Pijl & Minnaert, 2011). The latter are regarded as key persons in the development and implementation of inclusive education (Subban & Sharma 2006; Malinen, Savolainen & Xu, 2012). Furthermore, inclusive education is one of the major strategies to address the issues of exclusion and discrimination (Peters, 2003). 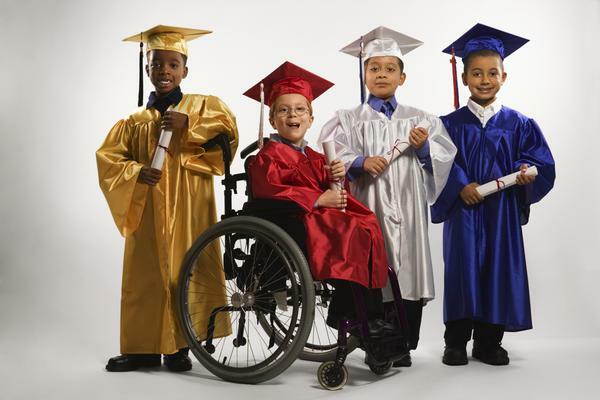 According to the philosophy of inclusive education, schools should be considered as a safe environment educating all children regardless their differences in ability, gender, language, class and ethnicity. Therefore, it is the primary role of school principals and teachers to commit to the transformation of their school environments for the successful implementation of inclusive education (UNESCO, 2009). There has been a mixed reaction to the implementation of inclusive practices in the classroom among teachers in different contexts (Horne & Timmons, 2009). In general, researchers argue that successful implementation of inclusive education largely depends on qualified teachers’ positive attitudes toward inclusive education (Subban & Sharma 2006; Malinen, Savolainen & Xu, 2012). In their study Horne & Timmons (2009) studied teachers’ perceptions of the inclusion of children with special needs in the regular classroom. By adopting a mixed-method research design, researchers concluded that teachers from regular elementary classrooms were generally positive about inclusion of children with special needs into regular classrooms; however lack of teacher training, poor leadership, and the shortage of time present numerous challenges to meet educational needs of all students. Subban & Sharma (2006) further explored teachers’ attitudes and concerns towards the implementation of inclusive education in the light of policy changes in Australia. According to authors’ hypothesis, teachers’ attitudes may influence their practices and behavior in acceptance of children with special needs, which in turn may influence on the implementation of inclusive education practices. Findings of their quantitative study revealed that teachers’ attitudes are less positive, if to include students with emotional/behavioral disorders and who may disturb everyday classroom activities. Furthermore, findings indicated the difference in attitudes and confidence among teachers who had some previous training in teaching students with special needs. If Kazakhstan follows international trends in regards to inclusive education, then there is an urgent need to develop national model of inclusive education, which should include preparing qualified and competent teacher professionals. Why did you decide to apply to M.Sc. in Educational Leadership program? What did influence you? Let me answer these questions by showing you how my undergraduate placement affected my career choice and future professional direction. Student time is the period of taking risks, overcoming challenges, and making choices and trials. Merrill states “learning is promoted when knowledge is applied and integrated in the real world” (cited in Allsopp et al, 2006, p.66), therefore it is very valuable to offer students an opportunity to try and taste the real work environment in order they could make sense of their knowledge. In this regard undertaking placement is the ideal opportunity for students to bridge the gap between theory and practice and foster knowledge and professional growth. The main purpose of taking placement is to engage students in activities in a professional setting, deepen their professional skills and prepare for a future professional world. Gaining practice in the real work atmosphere assists students in shaping their future plans, it provides students with an opportunity to make sense of their studies and see how their knowledge fit into the professional world. It can be said that the experience of placement is unique to each student. In my case, I believe that the impact of the placement on my learning was huge. I undertook my placement at the University of Brighton’s Student Services department in 2009. This was an ideal place to see the ‘full picture’ of the work environment and feel it as an ‘insider’. It was the time of making sense of the papers I have read during my studies and actively experience different situations in the real life (Kolb, 1984). Furthermore, by reflecting I was able to understand the processes and structures of my placement organisation (Schon, 1991). 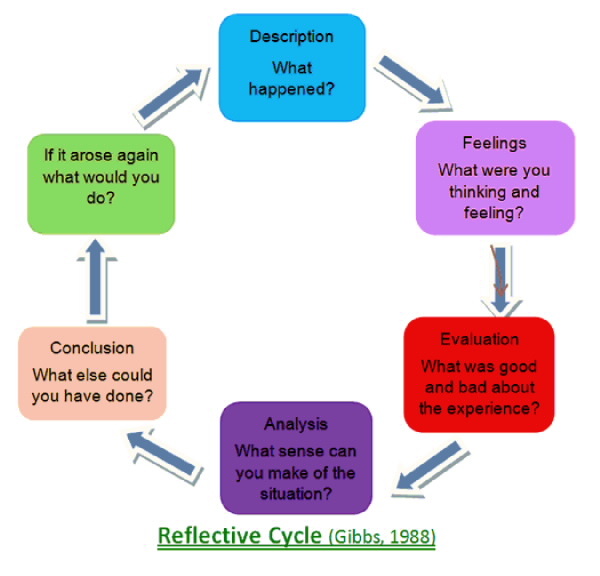 Reflective writing helped me to review critically my own learning, emotions and behavior. By challenging myself I have learnt to engage in self-development and self-knowledge. 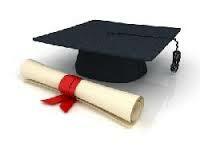 I have build on my previous knowledge and adapted to the new knowledge during my placement. I have become more focused and confident, the qualities which definitely helped me to excel in my studies and career. I have realized that though I have been responsible for only small part of different tasks at Student Services, other members of staff relied on me, so I have become more responsible. I focused not only on the outcomes, but on the whole journey I went through while on my placement. The positive atmosphere motivated me to learn more about Student Services. Professional knowledge I have gained throughout my placement enabled me to evaluate critically my role within organisation (Bulman, 2004). I have learnt to make positive contributions while working in a team and manage my time efficiently in order to meet the deadlines on time. I have realized that it is so crucial to feel the sense of belonging and benefiting organisation, which stimulated me to learn more. By leading several interviews with different members of staff, producing the video, talking to students and staff during the wellbeing week and answering telephone calls – for the first time I have realized that my confidence in communication skills and English have increased enormously. Owing to the fact that I was actively involved during the wellbeing week I have developed my organisational skills. Working within Career Services presented me an opportunity to improve my IT skills. As an addition, I have learnt certain technical skills such as using different equipments, designing brochures and vouchers, database inputting and coding, experiences which I really think positively affected my growth. By the end of the placement I have realized that I see myself within the placement context and part me of already belonged to this place, therefore I have decided to apply for a Student Services Student Ambassador role. After completing my placement I became more focused on my studies and future career direction. This placement opportunity confirmed my career choice to work within Higher Education setting and after graduation I have been offered a place to support students and faculty at one university in Astana and to further enhance my professional competencies I have decided to apply to M.Sc. in Educational Leadership program. Kolb, D. (1984). Experiential learning: experience as the source of learning and development. London: Prentice-Hall. During my bachelor degree I had a brilliant opportunity to undertake a two-week placement at school (UK) which provided dance classes for children and youth. Before the first lesson I had an interesting conversation with Jane, a tutor of ballet classes, who explained that the school supports the idea of freedom of choice and creativity and emphasizes the individuality of every child who should get the pleasure from the learning process, be eager to try new opportunities, and follow their own feelings and imagination. This child-centred approach emphasizes the “process of dancing and its affective contribution to the participant’s overall development as a moving/felling being” (Smith, 1994, pp. 4-6.). Reflecting back I remember how little boys and girls accompanied by a live piano music danced by using their own imagination and feelings, one little girl danced as a butterfly, the other girl sang the “Hickory Dickory Dock” and inspired the whole group to sing together. The main idea was that the dancing and learning was an enjoyable and interesting process and Jane’s role was to support children to build their own understanding through dance and movements. Moreover, parents had the brilliant opportunity to take part in the learning process of their child and even join and dance! I think parental involvement was one of the important factors positively affecting the learning process. These dance lessons helped children to develop socially, physically, emotionally and intellectually. There were many children from different backgrounds, gender and age, nevertheless children easily communicated, cooperated, learnt together and had fun. Lessons helped children to develop physical coordination, gain strength, and endurance. Furthermore, a well-planned dance program helped children to become more confident. According to Jane, there were some students with learning difficulties, emotional and personal problems, who despite their challenges continued to visit lessons and relax by freeing their emotions through dance activities. As Humphrey (1987) believes “dance is a means of releasing aggression in a socially acceptable manner…the very atmosphere that should prevail in the dance situation, a happy situation free from stress and fear, promotes a feeling of emotional well-being” (p.14). Moreover, during the lessons children developed intellectually. Jane always repeated the phrase “work with your brain, not with your body”, as dance required concentration and a good memory. During the exercises children (4-5 years) counted together, sang the songs, and exchanged opinions, which, from my point of view, definitely helped them to grow intellectually. I had a brilliant opportunity to see and learn ‘how children learn’, when they are active creators of their own knowledge. I have witnessed new approaches of learning, such as participation of parents, creative dances, and development of the whole child, which hopefully positively contributed to children’s early learning process and development. To sum up, I would like to add that every adult/parent/teacher has an opportunity to empower children by giving them a choice and a chance and let them learn to make their own decisions and trust their feelings. Humphrey, J. H. (1987). Child development and learning through dance. New York: AMS Press. Smith, J.M. (1994). The art of dance in education. London: A & C Black.